It epitomizes Hamilton's creative renaissance. Art Crawl has become more successful than anyone ever dreamed — and that success is dredging up problems. 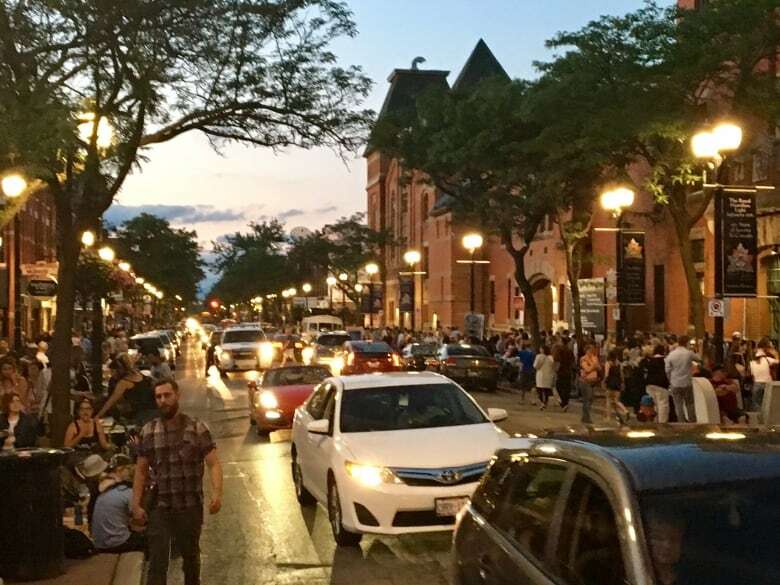 Hamilton's Art Crawl has become a victim of its own success. 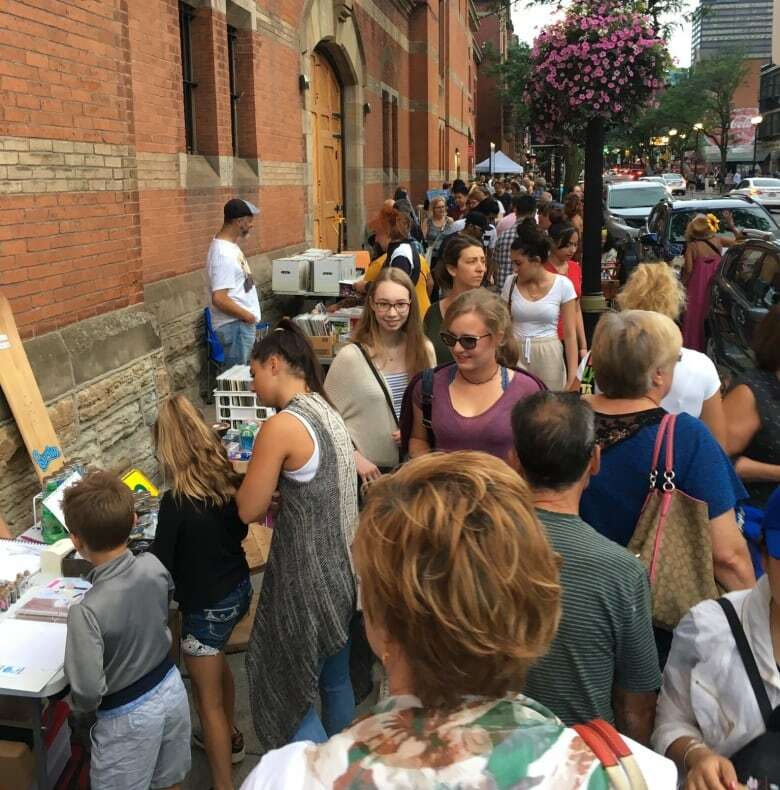 Long the crown jewel of the city's renaissance, the grassroots arts event has grown bigger than anyone ever imagined, with thousands of people flocking to James Street North on the second Friday of each month. Now, that success is dredging up problems. No one is in charge of Art Crawl — that's part of its spirit, as a nebulous community event that succeeds on its own merits. But with no one in charge, there's no curation. That means you're just as likely to see someone selling sunglasses or phone cases on James North these days instead of local art. It can feel more flea market than arts event — and there's grumbling from some brick and mortar storeowners about street vendors setting up shop right outside property they've invested in. The lack of oversight also means there's no crowd control, so sidewalks are blocked. Pedestrians are dangerously forced onto the road alongside traffic during the busy summer months, and it becomes a nightmare for anyone with mobility issues. Some local retailers are now shutting their doors that night, saying the event isn't even worth being open for anymore. 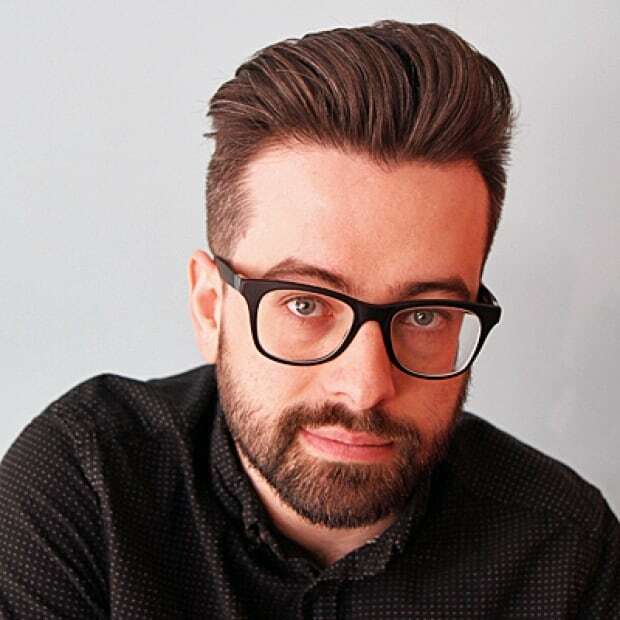 The city has tried to figure out what to do about all this, but it's obvious it doesn't really want to touch the issue, as the event is truly organic — and is a phenomenal resource for selling Hamilton's resurgence from a PR point of view. 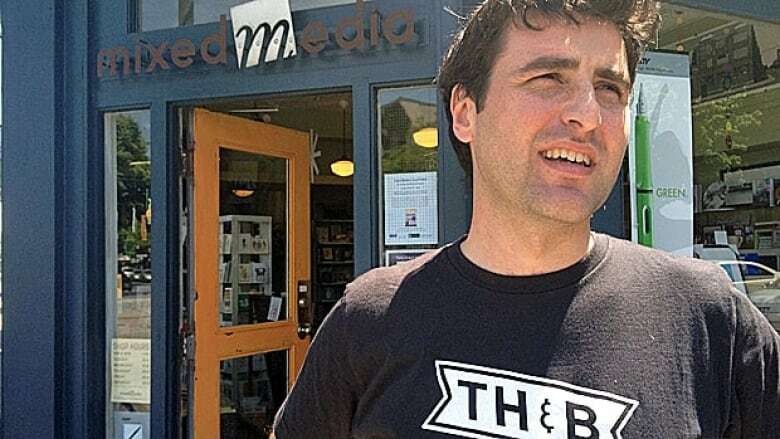 "They're afraid of screwing it up," said Jeremy Freiburger, founder of arts organization CoBalt Connects. "They're afraid of offending an industry they've traditionally had a hard time engaging. "But now, it's a free for all. It's a very different experience than it was originally intended to be." It's clear to many who were part of Art Crawl's inception that the event is now much different than the one that started 13 years ago, when a small contingent of local galleries and shops banded together in an effort to change the negative perception of James North. Back then, they were keeping the lights on to prove that the area wasn't a place where you'd get stabbed. Small crowds would head from gallery to gallery, taking in exhibits and openings. 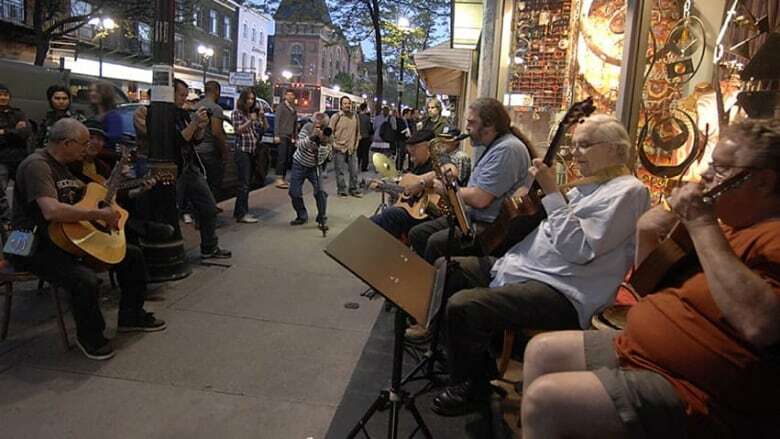 Now, a night at Art Crawl often includes a focus on the street itself, visits to vendors, and dinner at one of many increasingly packed restaurants on the street. "It wasn't at all like it is now," said Dave Kuruc, owner of Mixed Media at the corner of James and Cannon. "You'd never see someone just show up and set up a table back then." But now, you definitely do. Vendors stake out spots earlier and earlier, making sure they have a lucrative space for their wares. Where the first crawls drew crowds of 50 to 100 people, numbers are now well into the thousands during the summer. 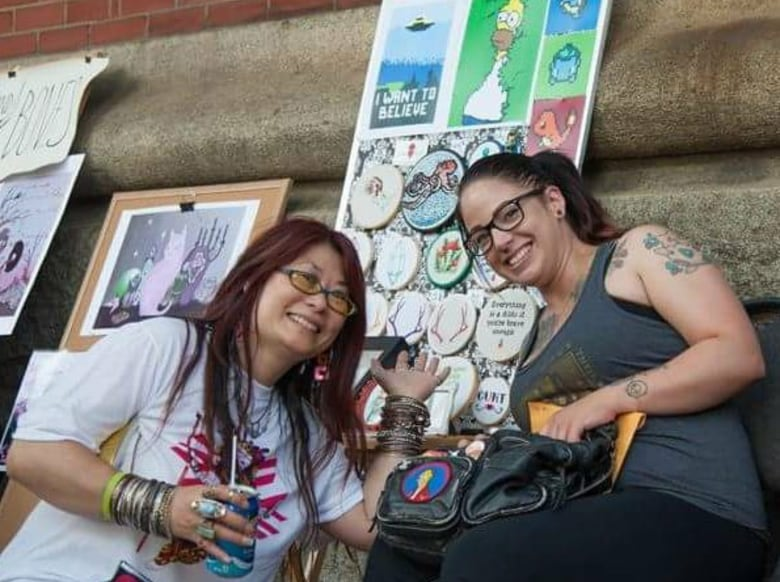 "I used to be able to go after work at like 4 p.m., but now I have to book the day off and show up at 1 p.m.," said local artist Sierra Shelley, who sells cross stitch art under the name Pixel Squid. "It's not even that the traffic is there at that time either, you're just sitting there to ensure a spot for around 6 p.m. when people start showing up." "People are reselling items [there] as if it were a garage sale." Mixed Media was one of the only retail shops open at Art Crawl's inception, and used to stay open until 11 p.m. or midnight — but now Kuruc shuts the doors at 8 p.m.
"We just found we'd be getting crowds through, but it didn't work for us as a business," Kuruc said, adding that there are so many people coming through the shop that prospective customers can't actually see their products. "It's a really hard way for people to experience the store." Recently, he even saw someone set up right in front of the store selling greeting cards, which is one of the products Mixed Media sells. "That's not fair. We all pay taxes, and there's a level of respect that's missing," he said. White Elephant, another James Street retail staple, now shuts its doors altogether for Art Crawl. "With the volume of people coming through, it's just not feasible for us," said Hollie Pocsai, co-owner. "It's not necessarily a night to make money — we love Art Crawl, but we're here all year long. "It's just kind of gotten to the point where no one regulates it and no one wants to touch it because it kills the organic vibe." Crowds have surged past what the street can safely endure without a closure. Green Party member Peter Ormond launched an online petition this summer, calling for James North to be closed to car traffic for Art Crawl. Retailers and galleries are noticing it too. Someone could easily get hit by a car. "It's becoming a dangerous thing — it's so congested on the street. Somebody is going to get hurt," said Colina Maxwell, the executive director of Centre 3. "There's a real sense that it would be very possible for something bad to happen with pedestrian traffic," Pocsai said. "When pedestrian safety is involved, it's hard to ignore." Ward 2. Coun. Jason Farr says he absolutely worries about pedestrian safety at Art Crawl. "Anyone who has been to an Art Crawl this summer knows it looks like a Supercrawl," he said. So why doesn't the city just close the street? It's not that simple, Farr says. Nearly everyone contacted for this story said it's important Art Crawl retain its autonomy, and not "belong" to anyone — especially the city. But as soon as the city closes the street, it basically owns it, Farr says. "Once we take it under our umbrella, it's an ongoing liability. There's a policing cost, and by assuming responsibility, we assume ownership," he said. City council did commission a report on the feasibility of closing the street back in 2014, but police said it wasn't needed at the time. "Back then, the people who look at public safety said it wasn't necessary," Farr said. "Should we revisit it? Maybe we should." 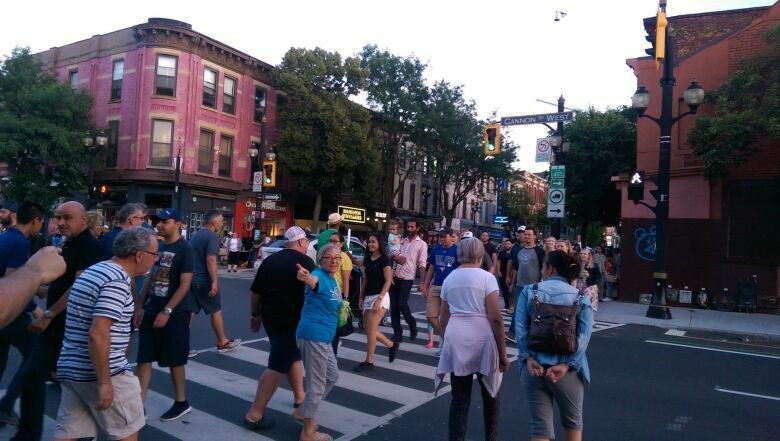 That report also said it would cost a whopping $40,000 to $50,000 to close James Street North between King William Street and Barton Street for seven Art Crawls a year, once things like traffic control plans, signage, labour costs and paid duty police were factored in. Since no one "owns" Art Crawl, who pays for that? It's not as if there's a total shroud of negativity around the event. Both Kuruc and Pocsai say they love the organic community spirit that Art Crawl represents. It's undeniably part of the fabric of Hamilton. Art galleries still benefit from the increased foot traffic, too. "I think it's great, having this monthly civic event," said Maxwell, adding that Centre 3 sees an increase on those nights. "I see more people looking at art and buying art." Caitlin Sutherland, the programming director for Hamilton Artists Inc., told CBC News that Art Crawl is still phenomenal for expanding the gallery's draw. "It helps us to meet our mandate of sharing contemporary art with a larger public audience," she said. Shelley says it can be great for vendors, too. "Everyone has been really helpful and welcoming," she said. "The sales for me have doubled since I first started." So how do you keep the spirit of the crawl, while ensuring that it's safe and equitable? There is no obvious answer. 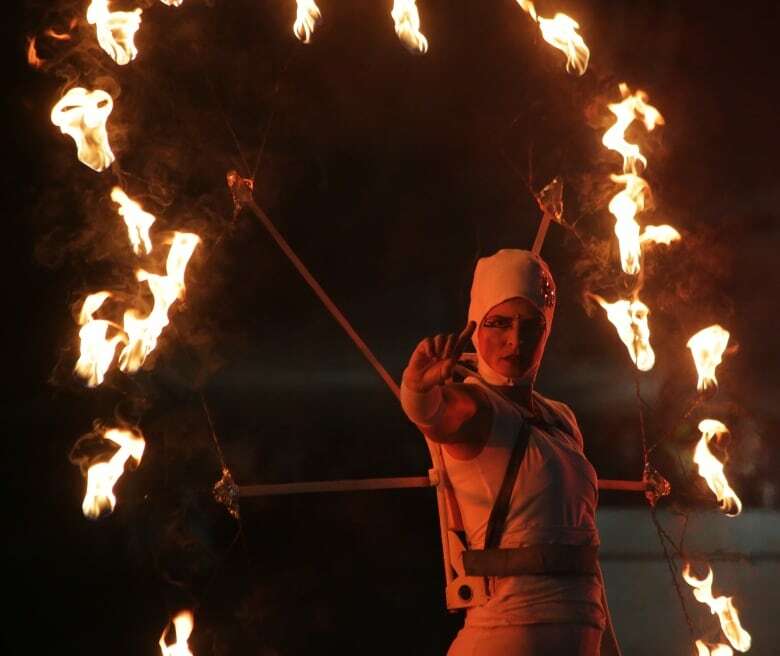 Most would prefer to keep the city's hands off the event, but without some form of oversight, it's wishful thinking to hope these issues just resolve themselves. "Other cities would be dying to have this problem," Kuruc said. "[Art Crawl] truly does mean so much to so many different people — but some of that is getting lost in the noise."